America is a nation of small business owners. In fact, there are over 22 million of us. Why do people want to go into business for themselves? In surveys done several years ago, the number one response was the potential for higher income. But now in the most recent survey, the top reason was “control of one’s own destiny.” The change is most likely a reaction to the recent economic times. Confidentiality is critical to the successful transfer of a business. If word gets out that a business is for sale, several things start happening and none of them are good for the seller or buyer of the business. First, key employees start looking for other jobs, fearing that a new owner may not retain them. In the uncertainty, customers may begin shopping elsewhere. Suppliers get nervous. Competitors can take advantage of the situation. This is why a prospective business buyer will be asked to sign a non-disclosure confidentiality agreement early in the process of looking at a possible business acquisition. In this agreement, the potential buyer confirms that he/she will not disclose the fact that the business is for sale except to professional advisors. Nothing causes the buyers and sellers of businesses more anxiety than the problem of valuation. The question of selling price haunts both parties. The seller doesn’t want to price his business too low and “leave money on the table.” On the other hand, the buyer of the business is afraid he’ll pay too much and not get the best possible price. Formal, fully documented business appraisals are now readily available. In addition, there are rule of thumb guidelines that can be used to quickly estimate the value of a business. As just one example, we know that a full service restaurant with liquor license is worth about 30% of its annual gross revenue as an ongoing business. This assumes – big assumption – that the business is earning the average bottom line profit for its peer group. There are rule of thumb guidelines for almost all categories of business from ice cream stands to manufacturing plants. But again, these guidelines provide only quick estimates. And written, fully documented business appraisals are now done by several respected national firms at a cost similar to real estate appraisals. Financing is always a concern, as hardly any business buyer has the financial capacity to write a check for the purchase price of a business. If they did, they would most likely be living off of investment income rather than buying a business. BANKS – Although most people seeking a loan to buy a business will think first of a traditional bank loan, I can tell you from years of business brokerage experience that banks generally do not make business acquisition loans. There are exceptions but they’re rare. SBA – The SBA, through its approved lenders, provides business acquisition loans. The SBA does not make direct loans, but rather guarantees a portion of the loan that is made by the approved lender. It’s known as the SBA 7(a) program. Wells Fargo Bank is currently the top volume SBA lender nationally. The SBA route for a business acquisition loan is sometimes frustrating because of the time and detail that is involved. However, keep in mind that the SBA will approve loans that others have turned down and will usually approve them with a smaller down payment. In most cases, it’s worth the wait. FAMILY – Many times the older generation in a family will loan the down payment or the entire amount needed to a promising member of the family’s younger generation. If your family is willing to loan you the money, one word of advice is in order. Have a very clear understanding as to how the debt is to be handled and put it in writing in the form of a legal note. THE SELLER – In the majority of the business transfers that I handle as a business broker, the owner of the business finances a portion of the purchase price for the buyer. Some sellers cannot offer owner financing for a variety of reasons, but when they can, it conveniently solves the problem of financing. The fact that the business owner is willing to finance the sale of his company provides more than a convenient finance plan. More importantly, it provides a strong validation of the owner’s belief that the business will support the owner and earn enough cash to pay back the loan. You can’t get any better recommendation on the business than this. The normal down payment for owner financing ranges generally from around 30% to 50% of the purchase price of the business. Interest rates are generally market driven but there is more flexibility here than in other forms of financing. 401(K) FUNDS AND IRA ACCOUNTS – The use of these funds to buy a business, without tax penalty, is a fairly recent development. Several national CPA and attorney groups have developed a plan, approved by the IRS, which allows you to use your funds for business acquisition. There are legal and accounting fees involved, but they are a small fraction of the tax penalty that would be assessed for cashing in these accounts early. The above ­­­­­­­­­­­­­­­­­­­­­­­­­­­­­­­­­­­­­­­­­­­­­­­­­­­­­­­­­­five sources of financing are not exclusive to each other. I recently handled a transaction in which three of the five sources were used to buy the business. If I can assist you with any considerations involved in the transfer of ownership, please don’t hesitate to email or call me. Of the 40,000 Democratic candidates running for president in 2020, CNN invited five of them to a town hall meeting last night. Amy Klobuchar – I tuned in late, but from the last few minutes of her that I caught, she seems to have a pleasant manner of presenting herself with some humor thrown in. Conservative columnist George Will wrote four months ago that “Sen. Amy Klobuchar is the person perhaps best equipped to send the current president packing.” That’s significant coming from George Will. Elizabeth Warren – Damn! There’s just something about this strident individual that irritates the Hell out of me. I had to pour a strong bourbon to keep my blood pressure within safe limits. Bernie Sanders – If Bellowing Bernie, age 77, ever had an economics class in college, it doesn’t show. But to give him some credit, I think he sincerely believes in what he’s espousing, and I can see how my liberal friends find him an endearing character. Kamala Harris – I know little about her, but she has a reasonable, lawyerly manner of presenting her very liberal views. She’s about as far to the left as Lizzie Warren without the sandpaper. Pete Buttigieg – Wow! Harvard, Oxford, Rhodes Scholar, Afghanistan military veteran, successful mayor, articulate. I respectfully disagree with George Will, above, when he said Klobuchar is the Democrat’s strongest candidate. I think Buttigieg is the one to watch. I know that politics is usually a no-no for a business column, so I’m venturing into dangerous territory here. But with that caveat, let me have your thoughts on these candidates. BizBuySell.com, the Internet’s largest business-for-sale marketplace, recently reported that sale prices of businesses sold in the third quarter of 2018 reached new highs. The record prices are directly related to higher earnings which also hit new levels in the third quarter. With buyers able to offset increasing prices by acquiring healthier businesses, the result is a well-balanced market. While owners are getting top dollar for their business, buyers are acquiring businesses with a better financial footing. Average selling prices in the third quarter of 2018 were up 10.7 percent as compared to the same quarter last year, setting an all-time record since the firm started collecting data in 2007. “Locally, here across the Southeast which is where my business brokerage practice is centered, our activity reflects the national trends,” said William Bruce, president of the American Business Brokers Association and a mergers and acquisitions specialists. 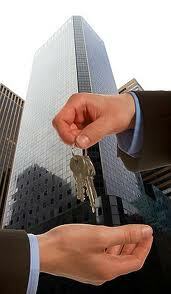 William Bruce is a business broker, an Accredited Business Intermediary and a business appraiser. He currently serves as president of the American Business Brokers Association. His practice includes consultations on matters involving business valuations and transfers. He may be reached at (251) 990-5934 or by email at Will@WilliamBruce.org.